Eco Hotel Guadalajara Expo is a 3* hotel located in Guadalajara, Mexico. It features 100 rooms. 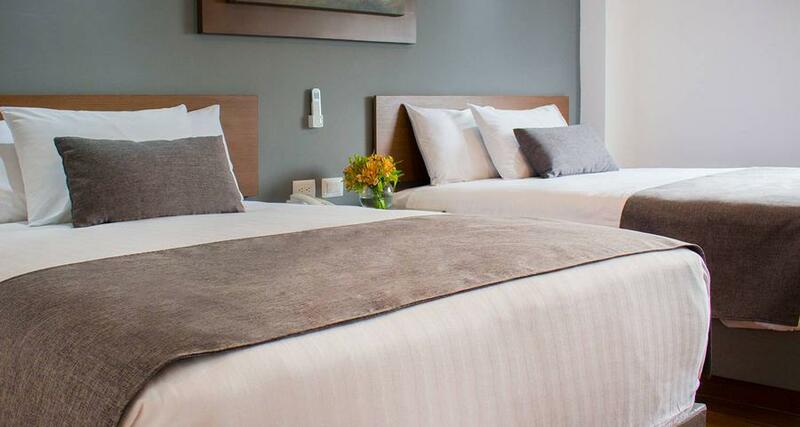 Eco Hotel Guadalajara Expo is located on Avenida Lazaro Cardenas, just two blocks away from the famous Arcos del Milenio roundabout and close to the Expo Guadalajara convention center. This is a great option for business travelers as it is also near the Guadalajara World Trade Center. Each comfortable room is decorated in a minimalist style and equipped with convenient amenities. The VIP rooms provide guests with access to an exclusive ninth floor terrace, where they can relax and admire views of the famous arches in Guadalajara. Limited parking is available onsite, along with breakfast area.